Amazon is one of the companies discovering that it's difficult for AI technology to escape the biases of its makers. Canada's former ambassador to Saudi Arabia, Dennis Horak, weighs in on the disappearance of journalist Jamal Khashoggi from the Kingdom's consulate in Turkey. Former Prime Minister Jean Chrétien sat down for a chat with The National's Rosemary Barton that covered a lot of political ground — and kept coming back to his book. The image of Moscow as a grey, post-Soviet city persists for many in the West, but the reality is something altogether different — Russia's capital is undergoing a serious urban makeover. Artificial intelligence promises to make us better by harnessing computing power to make everyday decisions more quickly and less subjectively than people can. But as AI technology spreads, it's becoming apparent that it can't escape the biases of its makers. 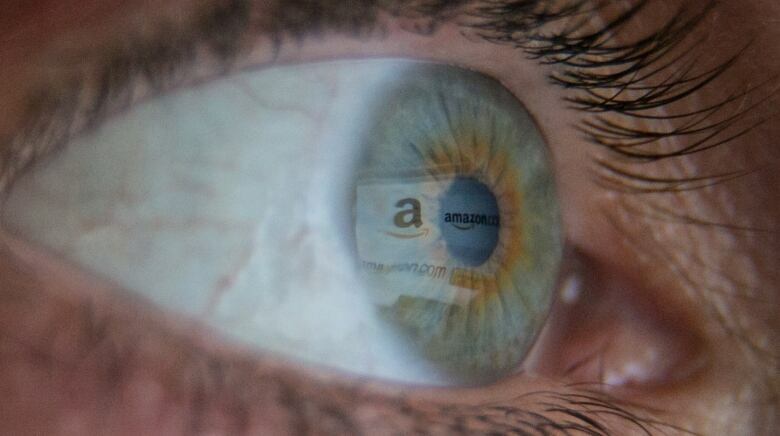 Amazon Inc. is the just latest company to learn that lesson. 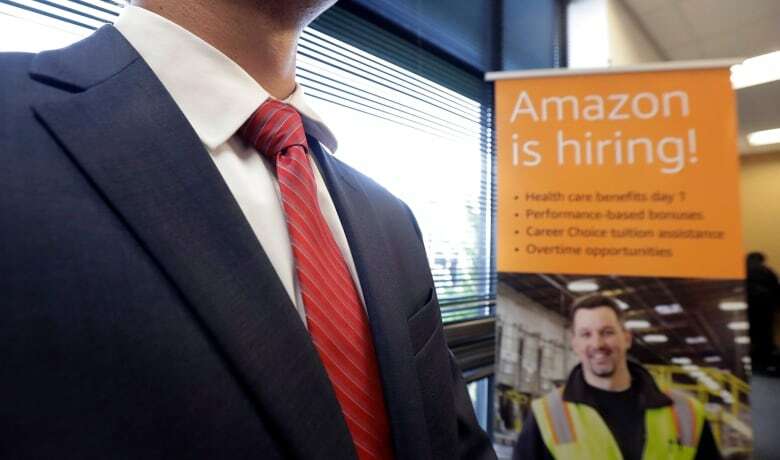 According to a new report today from Reuters, the Seattle tech giant was forced to scrap an AI recruiting engine after the company came to realize that the algorithm was excluding women. The in-house technology was supposed to crawl the Web and identify candidates that the fast-expanding firm might hire for a variety of software development and technical jobs. But within months of its 2014 deployment, Amazon executives realized that it wasn't functioning as intended. Using data from a decade's worth of resumes, the engine was designed to scan employment and academic histories using recognized patterns from other high achievers, and some 50,000 keywords. But because the vast majority of the CVs came from men, it taught itself that male candidates were preferable, rejecting words like "women's" as well as graduates from all-female colleges. Amazon tried to correct the fault, but eventually lost faith in the system, coming to fear that it would simply come up with other ways to discriminate. 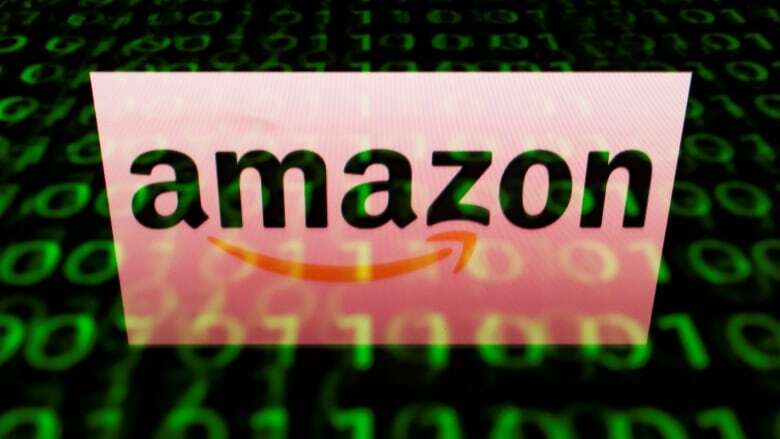 Amazon told CBC News the search engine never made it past the trial phase, and didn't play a part in any hiring decisions. The program was abandoned last year, and now the company is trying to build another, more diverse one from scratch. But it was hardly the first such problem with an AI system. Last winter, Joy Buolamwini, a researcher at the M.I.T. Media Lab, in Cambridge, Mass., published a study that highlighted a severe racial bias in facial recognition software. Testing a number of commercially available programs, she found that they could accurately determine the gender of 99 per cent of white men. But the error rate increased exponentially as skin tones got darker, with nearly 35 per cent of black women — including such globally known figures as Oprah and Michelle Obama — misidentified. Such issues have been cropping up for years, with older versions of photo tagging apps like Google and Flickr proving themselves unable to distinguish between black people and gorillas. Despite the money pouring into AI development, though, improvements in technology have yet to eliminate the offenses and embarrassments. This past summer, the American Civil Liberties Union released a report on Amazon's Rekognition — a facial recognition system that is marketed to law enforcement agencies — and found that in at least 28 cases it confused photos of members of Congress with criminals in mugshot databases. That might seem humorous, until you realize that such AI search engines now have access to the drivers' licences and other ID photos of 117 million Americans, and are used all the time by police seeking to match up traffic stops with known or wanted criminals. And "false positives" are common, especially among young black men who are overrepresented in the mugshots. Then there are the known issues with the "risk assessment" algorithms used by courts and parole boards to predict which criminals are likely to reoffend — with an accuracy rate that rivals pure guesswork, and disproportionately gives white offenders the benefit of the doubt. At its base the problem is a human one, as biases make their way into the databases that the AI draws upon via lack of forethought or pure ignorance. "Garbage in, garbage out," as the saying goes. The industry is aware of the issue and is trying to tackle it. For example, in June IBM released two new public datasets filled with diverse images that can be used to "train" facial recognition systems to be less biased in terms of race and gender. 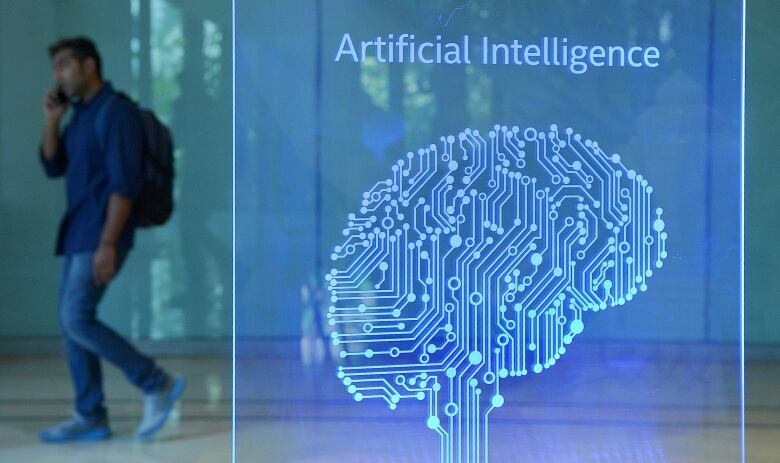 And a number of big tech firms, including Google and Microsoft, are introducing tools to screen existing AI software for unintentional biases. Others are turning to the courts and governments to enforce a solution. In the United States, the ACLU has proposed an accountability framework that would see firms and institutions that use AI produce publicly available "Impact Assessments" that would disclose the systems' purpose and reach, as well as instances of discriminatory behaviour. The money at stake — AI spending is predicted to grow to $52 billion US by 2021 — adds some urgency. And the issue of rogue AI is already too big to ignore. At a conference in the U.K. last week, one deep-learning specialist called the lack of diversity in the products and workforce the industry's biggest challenge — and a danger for all humanity. "Killer robots are nothing compared to bias in AI," said Charlotte Han. "Assuming it's all true — I have little doubt — it does seem all too typical of how they [the Saudis] are handling and reacting to dissent these days. Whether he was killed or abducted, it's very ham-handed and undercuts the kind of 'modern' or 'normal' image they are trying to cultivate as part of the reform program. "It's in line with the arrests of the women, and to a degree with the Ritz episode: real lack of insight into the implications of their actions. People will be talking about Khashoggi rather than their reform efforts. 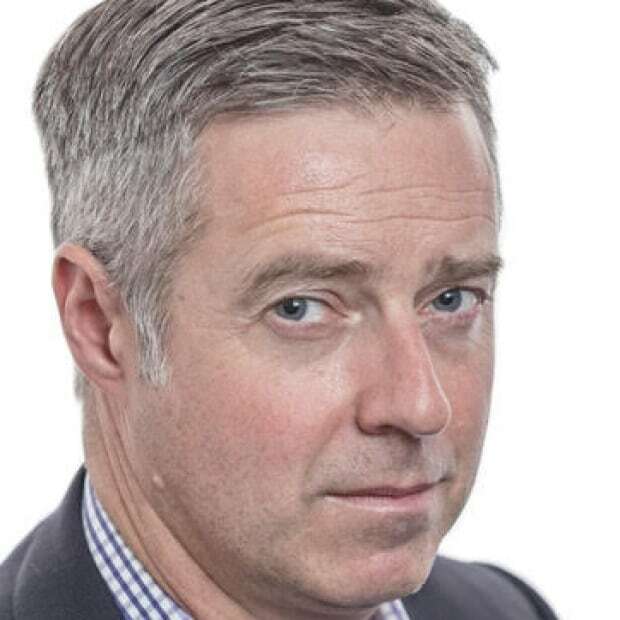 "It's a darker path for the Kingdom, which has had dissidents abroad for decades who annoyed them but didn't elicit this kind of brutal response. It's reflective of a shrinking political space for Saudis, which was already quite narrow, as well as the crown prince's impulsiveness. Not good." The Nationalco-host Rosemary Barton sat down for a chat with former Prime Minister Jean Chrétien that covered a lot of political ground — and kept coming back to his book. Jean Chrétien seems to have access to a fountain of youth. He's 84 now and has been out of politics for 15 years, but he doesn't seem to miss a beat. He walks into the President's suite of the Chateau Laurier hotel in Ottawa only slightly weary, he tells me, from a four-day trip to China. He's still living in Ottawa, still working at the Heenan Blaikie law firm. Sometimes I see him walking down Sparks Street on his own — he tells me he gets stopped by people sometimes and still enjoys when they call him 'Ti Jean. In the summer he golfs three times a week, nine holes in Shawinigan where he still spends his holiday months. And he's still following the news closely. Within the first few minutes of sitting down he has already talked about Brett Kavanaugh and the new USMCA trade deal. But he's here to talk to me about his book. The slim edition is called My Stories, My Times. It's a bunch of memories of different people and moments that was previously published in French and was really just Chrétien's attempt to keep some memories intact for his family. As I try to get the former Prime Minister to weigh in on issues in the news, he keeps gruffly saying, "Why are you not asking about the book?" or "I don't want to be a mother-in-law," translating a French expression that means he doesn't want to get into the game of criticizing the current Prime Minister. Fair enough, but almost every memory Chrétien recounts has some attachment to current events. 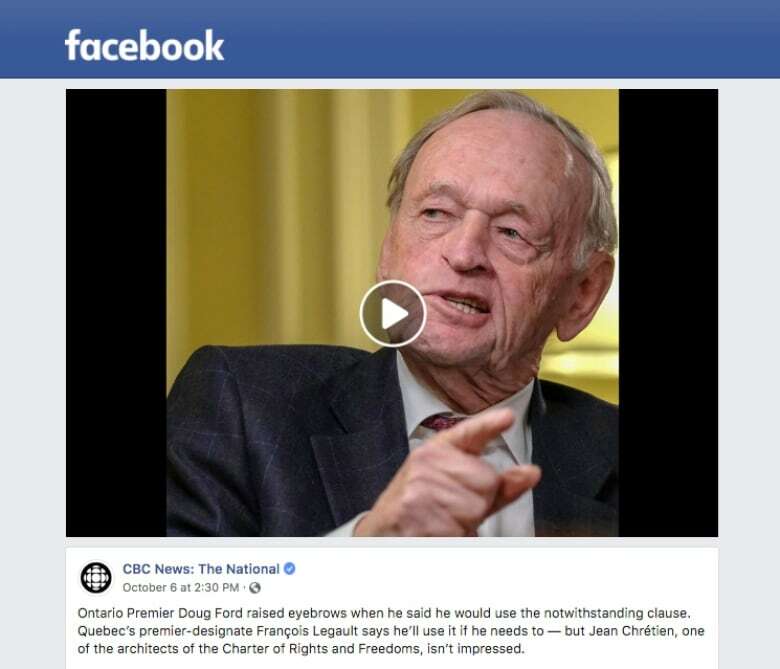 Whether it be the notwithstanding clause (something he negotiated), or the government's approach to negotiating the new North American trade deal (Chretien signed the first one, NAFTA), it is all a reminder that history turns in circles and stories make their way back around again. He says a couple of vaguely provocative things about President Trump, insists he won't try weed when it's legal, and has thoughts about consultations when it comes to pipelines. But Chrétien insists there is only one part of the job of Prime Minister he actually misses: Question Period. Not that he watches anymore, it was only good when he was riding that wave, he says. Before he leaves for a quick break ahead of his next interview, Chrétien stands at the door of the suite for a good 10 minutes recounting other stories in his book to the whole CBC News crew. And before he leaves, he asks one more time whether I liked the book. "Yes, yes," I insist for the fourth time. The image of Moscow as a grey, post-Soviet city persists for many in the West, but the reality is something altogether different — Russia's capital is undergoing a serious urban makeover, writes CBC Moscow bureau's Chris Brown. One of the surprises about moving to Moscow — a traffic-choked city of 13 million — was when I learned I could actually cycle (safely) to work. I certainly wouldn't dare drive my own car. Traffic jams, clogged intersections and an all-around lack of courtesy make getting behind the wheel in the Russian capital a frightening prospect. But cycling is achievable because of the remarkable effort that's been made to create more pedestrian and bike-friendly areas in Moscow's core. From my neighbourhood near the city's circular Garden Ring road, for example, I can ride a couple of kilometres on separated bike lanes to the Moscow River. Then, I follow a wide paving-stoned boardwalk that goes right past the Church of the Saviour, the Kremlin, the new Zaryadye Park, and ends near our CBC office at the Stalin-era Kotelnicheskaya tower. The reaction of my friends in Canada was one of bewilderment — first, that Moscow would even have bike lanes, and second, that I would be crazy enough to use them. But in truth, the bike lanes are only a tiny part of the multibillion-dollar urban renewal that's been happening here at a brisk pace. International visitors saw many of the changes during this past summer's FIFA World Cup, but the extent and cost of Moscow's makeover goes far beyond what was initiated for that two week event. More than 300 downtown streets completely reconstructed; the facades of 12,000 buildings redone; the creation of hundreds of new parks; and more than five million square feet of new paving stones and tiles laid down. Plus, there may be some smart takeaways for Canadian cities. A decade ago, Moscow had just a single pedestrian-only street; now there are a dozen. 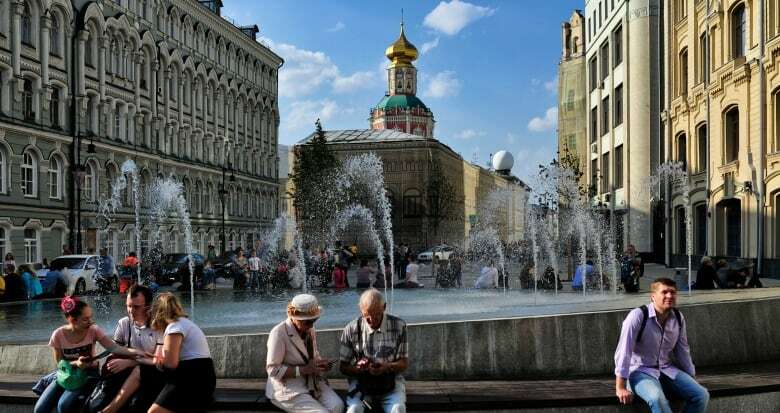 And the urbanists at Moscow's Strelka Design Institute, which have led many of the changes, claim that those car-free zones combined with the construction of wider sidewalks on hundreds of other major roads have led to a 29 per cent drop in pedestrian injuries. 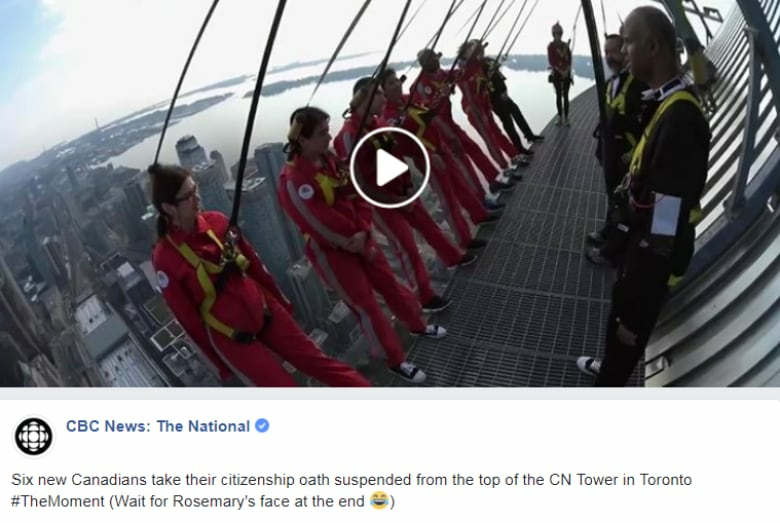 Seeing and experiencing all those changes on my bike ride into work each morning was the genesis of our story tonight on The National and today for CBCNews.ca. But of course, the Kremlin's political calculations play a huge role in Moscow's overdrive urbanism as well. We'll look at what's happening, who's benefiting and what the political payoff could be. 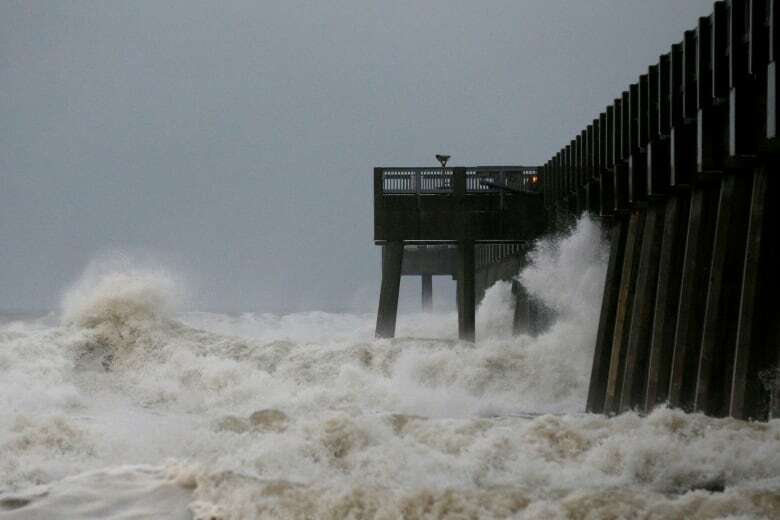 "This is the worst storm the Florida panhandle has seen in more than 100 years. This is the worst storm that we have seen in century. Hurricane Michael is upon us, and now is the time to seek refuge." - Florida Governor Rick Scott telling residents this morning that it's too late to evacuate from the path of the massive Category 4 storm. He predicts "unimaginable devastation" along the coast. Oct. 10, 1970: What is the FLQ?